Handcrafted to perfection, the Purganics bamboo toothbrush is dentist approved, has an ergonomically designed handle for a superior grip and the handle is 100% biodegradable. The bristles are made out of Dupont Nylon 6 and withstand the daily wear and tear. This eco-friendly toothbrush will last you as long as any other mass produced plastic toothbrush. Dentists recommend changing your toothbrush every 3 months. These toothbrushes are Vegan and the bristles are BPA-Free. Explore the entire range of Manual Toothbrush available on Nykaa. 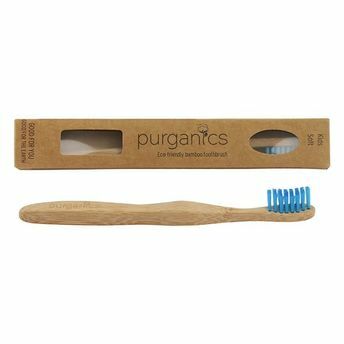 Shop more Purganics products here.You can browse through the complete world of Purganics Manual Toothbrush .